The first thing I notice walking into a church in Olympia, Washington, is a flurry of red scarves. 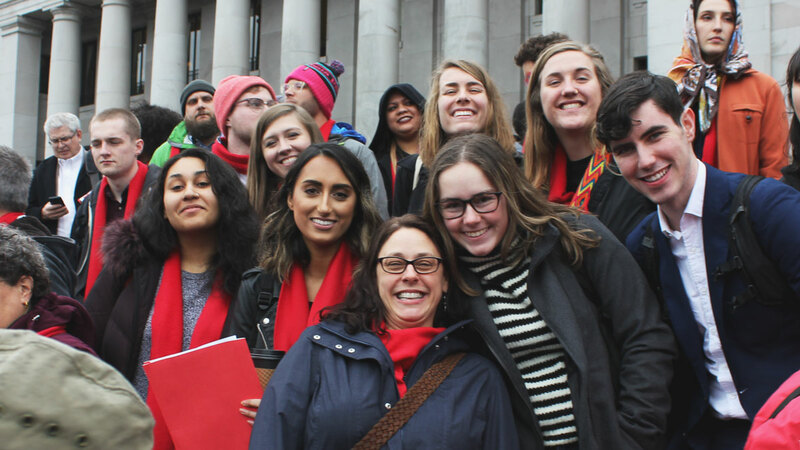 It’s February 2, 2018, and I’ve joined 17 other Seattle Pacific University students and professors for Washington Low Income Housing Alliance’s annual Advocacy Day. 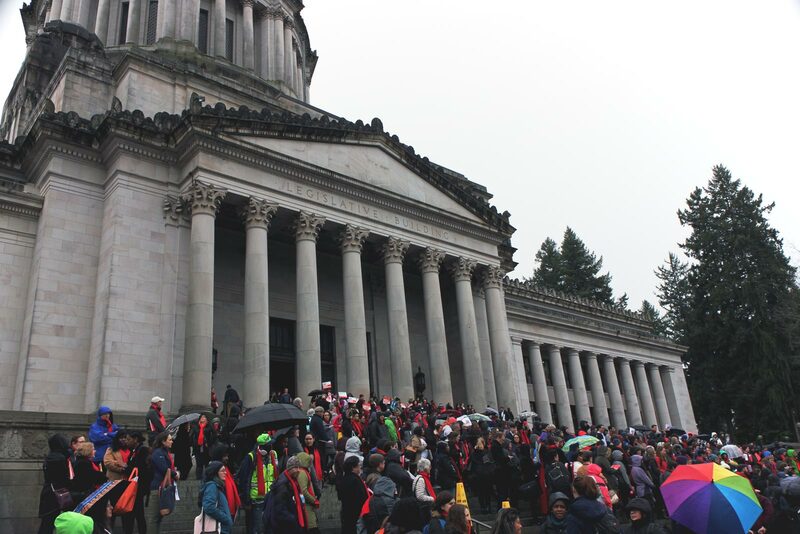 On Advocacy Day, districts from across Washington State come together to take part in meetings and speak with their representatives about addressing housing and homelessness needs in their districts and across the state. This year, lawmakers passed a package of seven bills focused on affordable housing and homelessness. 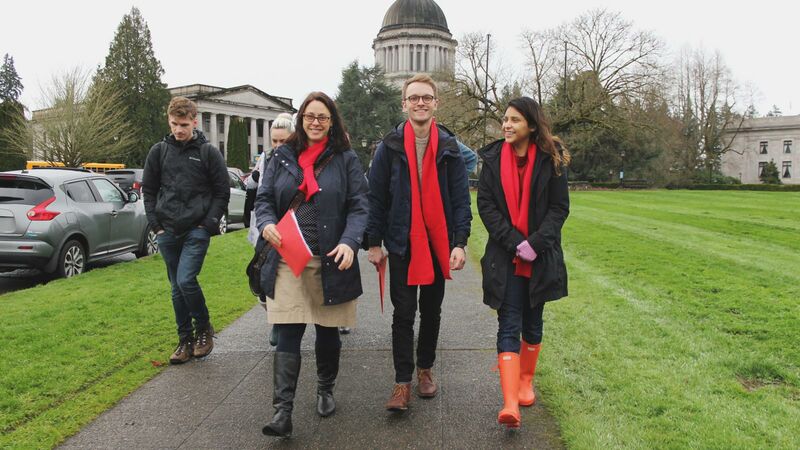 Everyone who attends this lobbying day receives a red scarf to signify our fervent hope for justice in housing. These scarves are worn by social workers, students, educators, people from the faith community, and those who have been or are currently without housing. At the capital’s main campus, they meet with state legislators and their representatives to talk about the much-needed response to the sharp lack of affordable housing and its impact on people and communities in our state. Typically, over 600 attend each year, with nearly every single district in Washington represented. … people are continuously fighting for access to affordable housing, and ultimately, fighting for their sense of belonging. 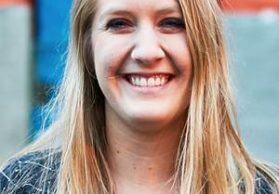 Associate Professor of Sociology Karen Snedker has lead SPU’s Advocacy Day group for the past few years. Attending my junior and senior year at SPU has shown me how many people are continuously fighting for access to affordable housing, and ultimately, fighting for their sense of belonging. It has been so humbling to see the resilience of people whose lives are impacted by homelessness, and to see how much more there is to an individual than just their circumstances. Some have been through many different housing programs. Some programs work. Others don’t. 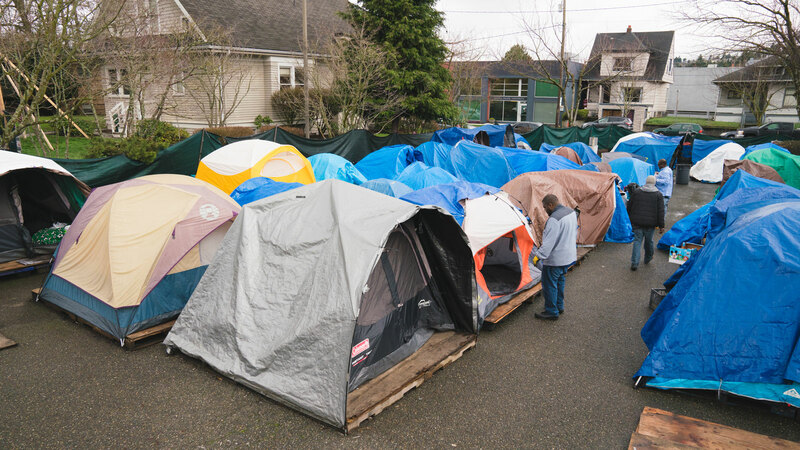 On campus at Seattle Pacific, we’ve gotten to know more about an often less talked-about alternative: tent cities. Tent cities are tent encampments that consist of people who are experiencing a lack of permanent housing. They can be city-sanctioned, run with assistance of local government and funding from organizations, or self-run encampments that generally receive supports from donations. Tent City 3, which has stayed at SPU for three months at a time in 2012, 2015, and this most recent school year, 2018, is a permitted encampment, but not funded by the city. TC3 is self-governed, democratically run, and requires residents follow a strict code of conduct that requires sobriety, nonviolence, and participation. Yet they also carry a hope for helping not only themselves, but those around them, and find that helping those around them is truly a healing process. Some of these residents have also been present at Advocacy Day or at various lobbying days in and around King County. I’ve heard stories from people who have stayed in Tent City 3 and those who continuously show up to Advocacy Day who have felt truly discouraged and heartbroken in their experiences. Yet they also carry a hope for helping not only themselves, but those around them, and find that helping those around them is truly a healing process. 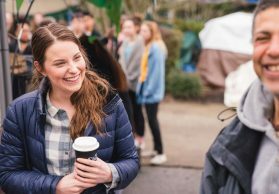 If you’re an SPU student, you can stop by the John Perkins Center and ask about the weekly community dinners that happen in Pike Place Market, in Ballard, and in many other Seattle neighborhoods. 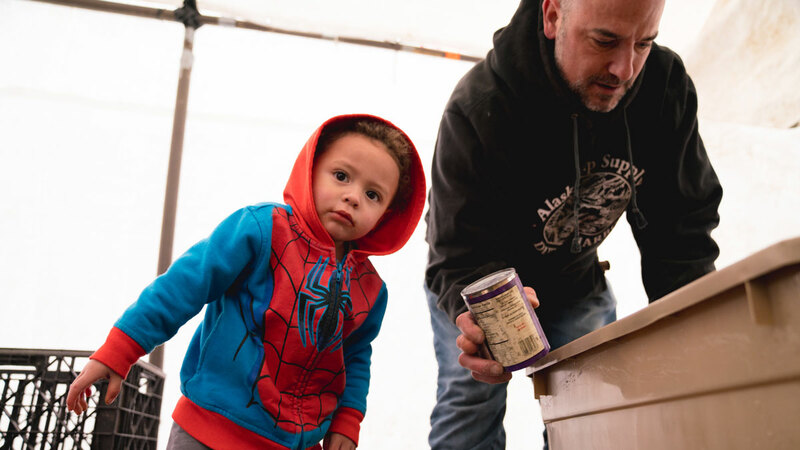 Community dinners are tangible ways to step into the lives of people experiencing homelessness. Each dinner has a meal, a small message, and plenty of time to sit down and have conversations. Ask Urban Involvement student leaders for information on other places in the city! The first time I attended a community dinner, I talked with a man for around an hour, and he said he hadn’t had a conversation that long with anyone in months. These dinners give students an opportunity to sit down and have genuine conversations with our neighbors. If you’re looking to be more involved, I would also suggest going to Advocacy Day. Washington State Low Income Alliance’s website has information about how to register, as well as email notifications to guide you to Senate and House bills that you can learn about and vote on! This will keep you updated on policy changes in the context of homelessness throughout the year. 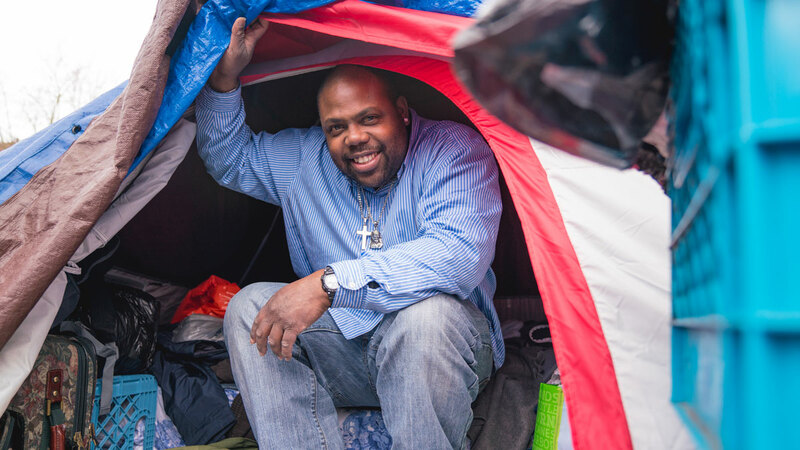 I believe there is a greater call to be in intentional community and conversation with those experiencing homelessness, and from there, to learn how to seek further housing justice and equity with other advocates and policy makers. 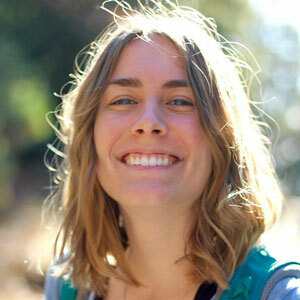 For more on Tent City 3’s time on campus, read Micailah Moore’s reflection on getting to know TC3 residents during her time as a student researcher.